Magnetic, folding, wood, 12" x 12", 2 1/2" king, padded felt interior to store pieces individually. 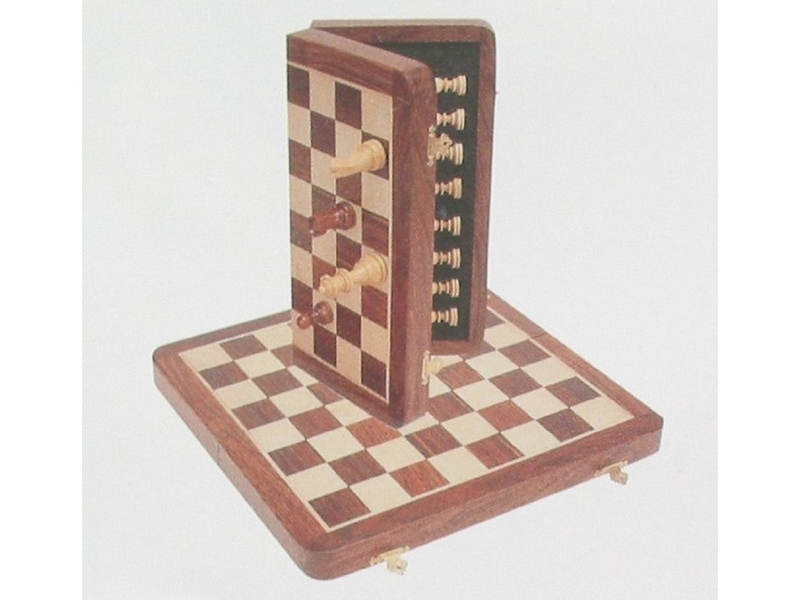 The set is magnetic, folds in half, and includes storage for each individual wood chess piece. Beautiful craftsmanship! Page P130 Copyright © 1999-2019 GammonVillage Inc., USA. All rights reserved.